R.E.S.P.E.C.T: a feeling of deep admiration for someone or something elicited by their abilities, qualities, or achievements. Its a positive feeling for a person or other entity. Respect can be given or received. Depending on an individual’s cultural reference frame: respect can be something that is earned or built over time. 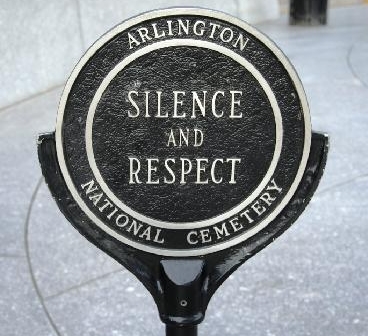 If respect is considered a positive feeling, why does it seem to be lacking in our society. What is happening to our culture? Where is our respect for other cultures and their rules of protocol? Since we are entering our summer months of travel, I want to focus on understanding the culture of other countries. Know Before You Go..Do some homework if you are traveling. Here are some travel etiquette guides to tuck away in your travel log. These guides will help you show respect for others and in turn respect will be given back to you. That other countries do not celebrate Flag Day. The US celebrates Flag Day on June 14. Unlike the USA–In Asia, faith and ritual are inseparable from business and everyday life. You must show respect for a person’s beliefs. Most recently, a few Westerners decided to show a bit more than their respect…Read the article on the Huffington Post website: Tourists Who Posed Naked On Malaysia Mountain Sentenced To 3 Days In Jail. Also in Asia, If you are a man, wait for a women to initiate a handshake. There may be cultural or religious taboos against women shaking hands with men outside of the family. When relaxing in Costa Rica, don’t rest your feet on any furniture except items expressly designed for that purpose. In Guatemala, the “okay” sign (thumb and forefinger forming a circle) is considered obscene. This list can go on and on, and knowing before you go will keep you feeling confident and secure about yourself in your travels. We should always show respect to other countries and their cultures. In turn, we can expect travel to our country to be respected as well. If you would like to share a travel etiquette post on a place you visited, please share it on our Facebook! We want to know before we go any news about your travels.